If you’ve had trouble adjusting to your dentures, you’re not alone. For many, traditional dentures are uncomfortable and make speaking difficult. And while they may restore your appearance for awhile, they ultimately can’t prevent you from losing more bone mass in your jaw over time. That’s why, if you live in the Los Angeles area, you should consider implant-supported dentures from Westside Dental Associates. 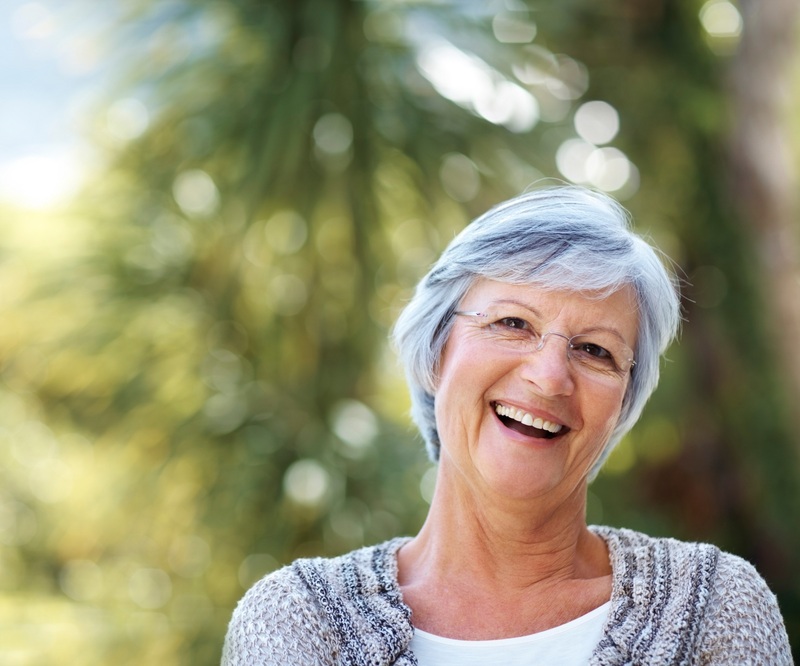 With implant-supported dentures, you can reclaim your quality of life and your winning smile! What Makes Implant-Supported Dentures Different? Whereas traditional dentures rely on suction or adhesives, implant-support dentures are anchored by dental implants. That means they come in two parts. What your friends and family will see are your beautiful, natural-looking dentures. What they won’t see are the dental implants anchoring them. Dental implants are made from a biocompatible metal that works with your existing bone tissue to creating a firm foundation for your dentures. It’s this strong foundation that gives implant-supported dentures their advantage over traditional dentures. But as great as implant-supported dentures, not every patient is a candidate for dental implants. Which is why, if you live in Los Angeles and have been considering implant-supported dentures, you should call us today. We’d be happy to schedule a consultation visit for you with Dr. Latner. During your appointment, Dr. Latner will be able answer all your questions, in addition to performing a thorough oral exam and making a recommendation about what service is most right for you. Are you ready to improve your quality of life? Call us today! We can’t wait to help you smile.